How to wash the carpet at home with your own hands - we do it quickly and easily! 3 Erase the carpet in the bathroom - how to do? 4 How should wool carpets be properly cleaned? 5 How to dry the carpet at the end of the wash? It has long been known that walking around barefoot is not only pleasantly felt, but also good for health if there is not a bare floor under your feet, but a fluffy carpet. Many people carpeted almost the entire area of ​​the dwelling. But unfortunately, sooner or later, carpet lovers have to face the question of how to wash a carpet at home. Not all owners of fluffy and large carpets know how to clean a carpet at home, and therefore either they put as much as possible on the back burner or do not clean the carpet at all. It is impossible to do so, because regular washing of carpets is a guarantee of health and cleanliness in the house. Now learn how to clean carpets! Be sure to vacuum the carpet at least once a week, preferably two. This is necessary so that the dirt along with the dust is not eaten deep into the pile - otherwise it will be very difficult to wash the carpet. Do not forget to clean the floor under the carpet, as the product may get dirty on the wrong side. In addition, the dust from under the carpet tends to penetrate into the room and cause trouble to the inhabitants of the home. Try not to place carpets in rooms where they are actively littering. The best places to accommodate these decorative items are the bedroom, living room, children's room. It is undesirable to place a carpet in the kitchen. Following at least these three tips will allow you to almost forget about the question of how to wash the carpet at home, because the carpet will remain clean for as long as possible. But what if you forget about leaving and the palace needs cleaning? We will understand together how to wash the carpet at home quickly, and whether it is possible to wash the natural carpet using the same methods that are used for cleaning the other palaces. Sauerkraut. This is one of the most effective and fully environmentally friendly products that was used by our ancestors decades ago. 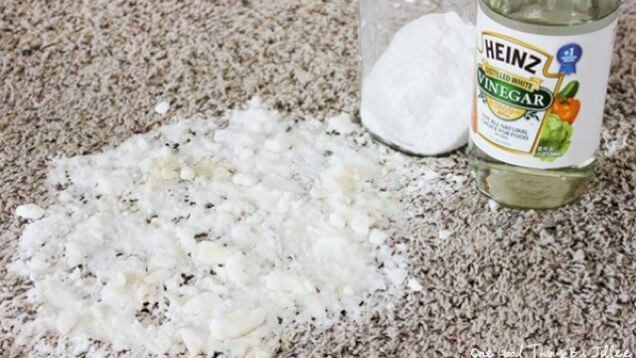 How to wash the carpet at home with sauerkraut? It is necessary to take cabbage, squeeze out brine, rinse thoroughly in order to remove all odor. Further, the cabbage prepared for use neatly crumbles evenly on the carpet. Now you need to take a brush for cleaning carpets and begin to thoroughly wipe the carpet along with rubbing cabbage. How to wash the carpet in this way? Wait until the cabbage becomes dirty and black, then sweep it. This procedure should be repeated until the cabbage remains clean after rolling on the carpet. As a result, the carpet must be thoroughly dried and vacuumed out - now the coating is almost perfectly clean! Alternative means. How to wash the carpet at home, if sauerkraut is not at hand? Do not despair, there are many tools than to wash the carpet at home, which are based on the same principle of action. As an alternative to cabbage, salt, bran, pumice powder, sawdust and even tea leaves can be used. How to wash the carpet with these tools? Simply choose one of the suggested ones, put it on the carpet and start rubbing it with a brush so that the product collects dirt. After the end of such an unusual procedure, the carpet should be well swept and vacuumed. These methods of how to wash the carpet on the floor have already been tested by thousands of people, so there is no doubt about their effectiveness. Of course, not always the use of folk remedies will be acceptable - in some cases it is better to turn to the help of specialized tools. So, how to wash the palace at home for a better result? Erase the carpet in the bathroom - how to do? Before you quickly wash the carpet in the bathroom, vacuum it, and also remove foreign objects. Roll the carpet into a roll and place it in the bathroom, pre-filled with warm water. Unscrew the upper end of the carpet and use a brush to begin rubbing it along with the washing gel. After cleaning the upper end, gradually proceed to cleaning other areas of the carpet surface. Attention! Before you wash the carpet at home, you need to pick up a good detergent, preferably liquid. It is not recommended to use ordinary laundry detergent, as stains remain from it. If you do not know how to clean the carpet, use any detergent for washing carpets. How should wool carpets be properly cleaned? Dissolve neutral detergent in water and whisk until frothy. Apply the foam to the surface of the carpet, then wipe it thoroughly with a sponge or brush. After wiping, pour plenty of clean water over the carpet to remove any foam residue. Dry the wool carpet thoroughly with dry towels. Is it possible to wash a woolen carpet with folk remedies? Yes, but, for example, a recipe with sauerkraut will not work, it is better to use neutral substances, for example, black tea and bran. Now you know the better way to wash a carpet made from natural materials. It remains to learn how to properly dry the coating. How to dry the carpet at the end of the wash? If the weather is warm in the yard, it is better to open the windows for drying carpets at home so that the air flow helps the carpet to dry in less time. You can also turn on the air conditioner so that it blew a warm stream. At the same time, the stream of air should not be directed onto the carpet itself in order not to spoil it. The ideal option is to hang the carpet outdoors. This can be done either on the street or on the balcony. If this is not possible, completely lay the carpet on several chairs above the floor to dry. Do not lay the carpet near heating devices or sources of fire - it may warp. Now you know whether it is possible to erase a carpet and how to do it correctly, as well as how to wash the carpet if there are no special tools at hand. Use the skills you have learned, and also forget to keep track of your carpets so that as little as possible there is a need for their capital cleaning, time and energy consuming. How often do you need wet cleaning? With small carpets, there are usually no problems with cleaning, they can be brought out onto the street, washed with a special detergent. They are perfectly dry in the air. But the cleaning of a large carpet on which the furniture stands and which is not possible to take out of the apartment is problematic, especially when there is no special washing vacuum cleaner. The main question that worries me is how to dry it after cleaning? I will use some tips from this article. I buy an agent for carpets in an amwee, it is whipped into a foam, applied to the carpet, a little cleaned and meaning.